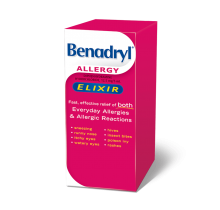 Antihistamine relief in a small tablet that works when you need it most. 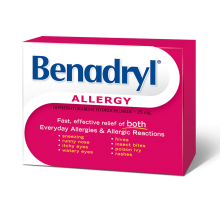 Offers an extra strength dose to relieve your allergic reaction symptoms with just 1 caplet. 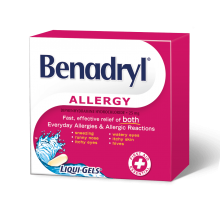 A dye-free, no colour added antihistamine that works when you need it most. 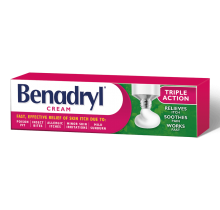 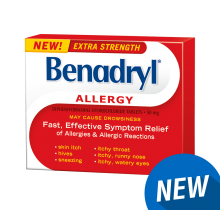 Formulated to provide fast, effective relief of your allergy symptoms PLUS effective relief of your sinus congestion and pain symptoms. 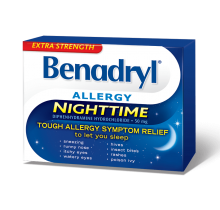 Lets you rest by providing fast, effective relief from allergy symptoms and allergic reactions. 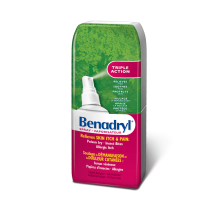 Liquid allergy medicine with an antihistamine that works when you need it most. 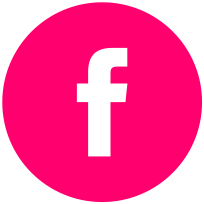 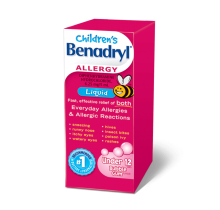 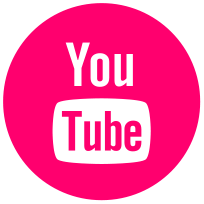 Bubblegum flavoured liquid with an antihistamine that works when your children need it most. 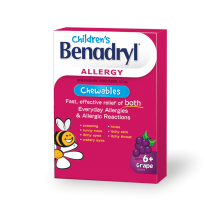 Grape flavoured, chewable medicine with an antihistamine that works when your children need it most. 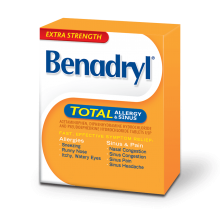 A topical antihistamine/analgesic in a stick format easy to apply. 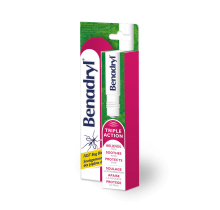 An antihistamine/analgesic in a spray format for easy topical relief of itchiness and pain.